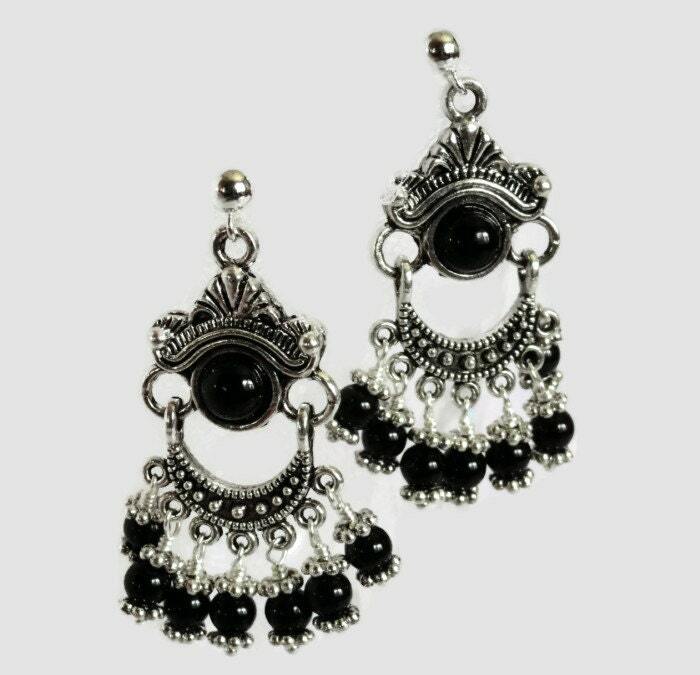 Sumptuous black onyx and Bali-style earring components produce intricate earrings. 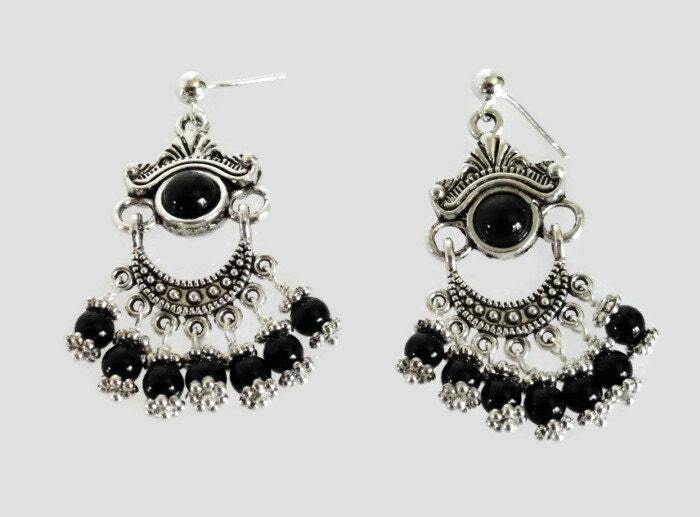 Multiple black onyx beads with silver highlights dangle and catch the eye. The earring wires are silver-plated. 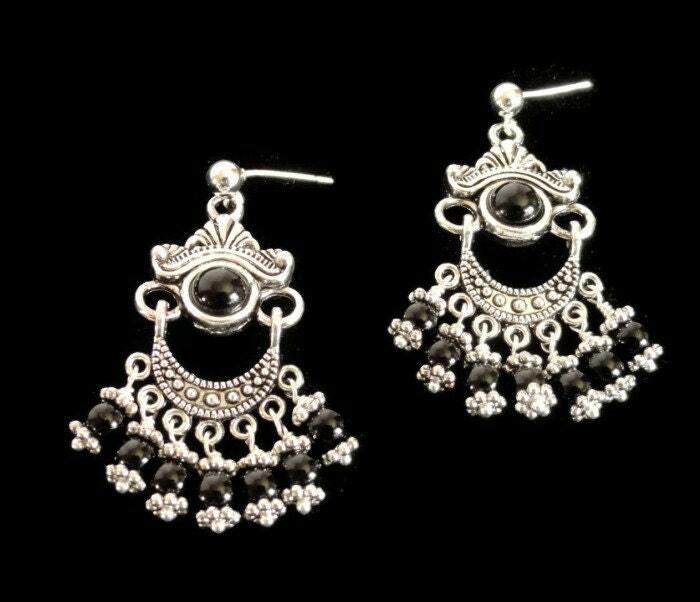 Although these silver components are pewter and not sterling silver, they have the look of artisan-crafted Bali designs. True Bali beads are 0.925 sterling silver in a myriad of intricate designs, and are expertly handmade by Indonesian silver crafters. "Bali style" beads use designs that are not actually exclusive to Bali. These designs are hundreds of years old and have appeared throughout the middle east and Asia. The word Bali started being used to describe the style because tourists commonly bought silver jewelry items while vacationing on Bali beaches. Some Bali Silver is "antiqued" by allowing oxidation in the crevasses to add depth to the silver.